I make a lot of muffins. No, really, a LOT. 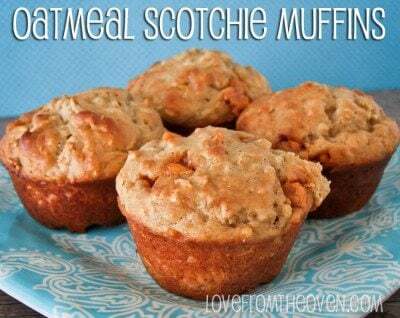 They are a staple in our home for breakfast and snacks and are hands down my favorite way to pack some whole grains, fruits, veggies and even protein into the morning, while pleasing some incredibly picky eaters. While my daughter could probably eat the same muffin for months at a time, I get bored making the same muffin over and over. 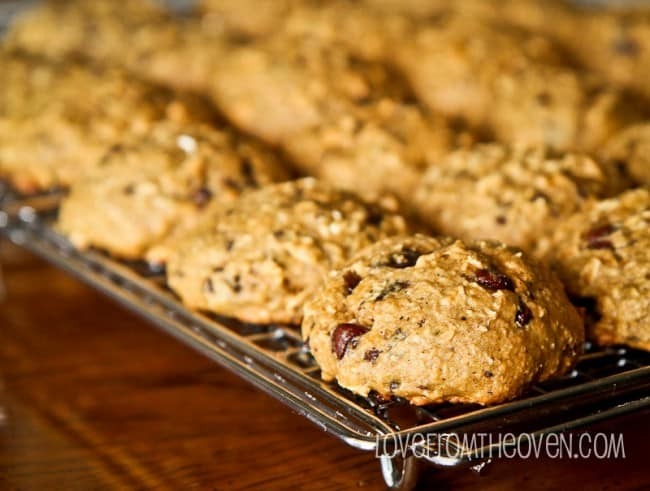 This weekend I decided to take the same ingredients and turn them into breakfast cookies. It worked. Yay! And Yum! Cookies. For breakfast. Packed full of whole grains, fruit and protein = Winning! This is definitely a “cakey” cookie if you will, big and soft. 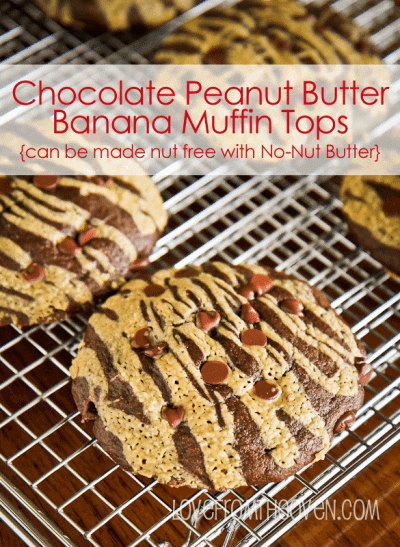 If I wasn’t making these for my daughter who has a nut allergy, I would have added some walnuts or pecans to these as well. Feel free to add as little or as much chocolate to these as you like, or come up with your own creative mix ins. I chopped up my chocolate chips (I was out of minis, sometimes you gotta do what you gotta do). I love to use mini chips or chopped up chocolate to make a smaller amount of chocolate appear to go further in the kiddo’s eyes. You want to either line your baking sheet, or remove the cookies from the sheet as soon as you pull them out of the oven (transfer to a wire rack) as they will want to stick otherwise. If you get them off right away though, you should be fine. 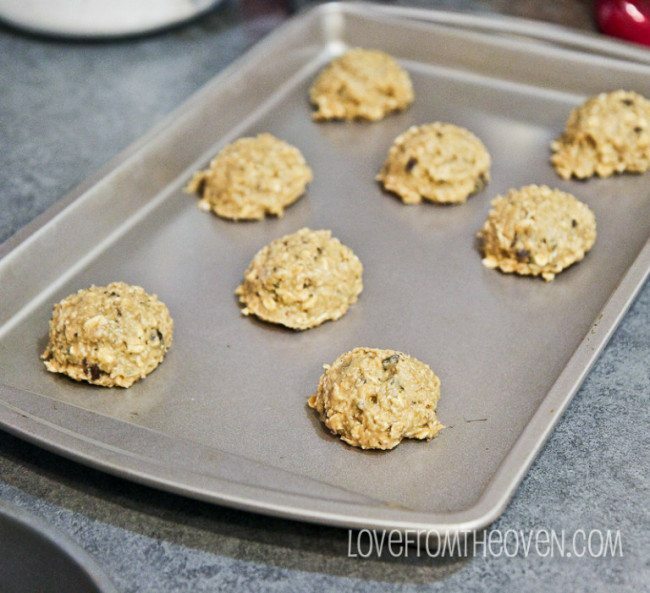 If possible, line your baking sheets with a Silpat or parchment paper (you can skip this step, just make sure to remove your cookies from the baking sheet the moment they come out of the oven, they are inclined to stick). In a food processor (or mixer) puree/blend together bananas, yogurt, butter, eggs and vanilla until well combined. In a separate bowl, mix together brown sugar, baking soda, white whole wheat flour, oats, oat bran and salt (if using). Combine wet and dry ingredients, stirring until combined but do not over mix. Drop by scoops (approximately two tablespoons in size, which for me was a small ice cream scoop) onto a cookie sheet. Bake for 10-14 minutes or until they are lightly browned. Remove from oven and immediately remove from pan and transfer to a wire rack, allowing to cool. Makes approximately 32 cookies. We keep ours in the freezer to remain fresh, and either take out the night before and let thaw or just pop in the microwave for a few seconds. Enjoy! 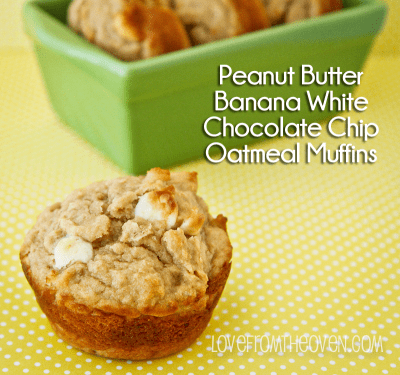 Want some other delicious recipes for breakfast? I mentioned loving muffins, right? Here are some of our favorites! These sound amazing. I do have one question, can you replace the Greek yogurt with plain yogurt? 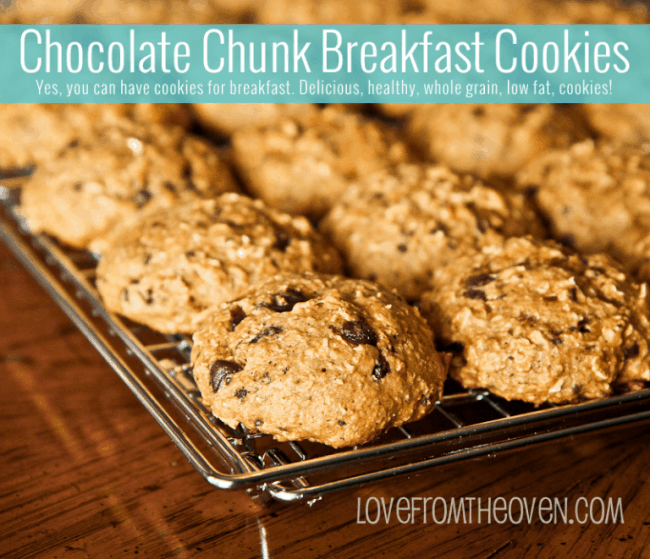 Cookies for breakfast is definitely a genius idea! These look delicious! I’m a muffin gal too. But also a breakfast cookie gal. I love all of your healthy mufin recipes Christi! And these soft, cakey cookies look so good! What a genius idea! 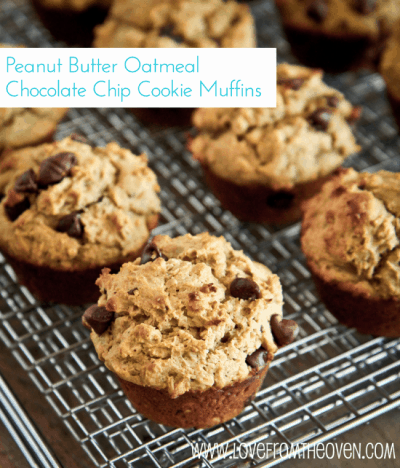 Cookies and muffins are two of my faves, I love the idea of mixing up the two. This post is giving me lots of ideas for flavor combos! “Yay! And yum!” are my thoughts exactly! 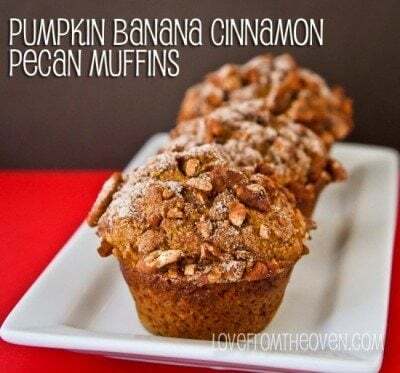 These sound like the perfect way to start out a Saturday morning! Is it Friday yet? 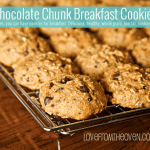 Breakfast Cookies!? I must have died, because these can’t exist in real life! Love the cookies! 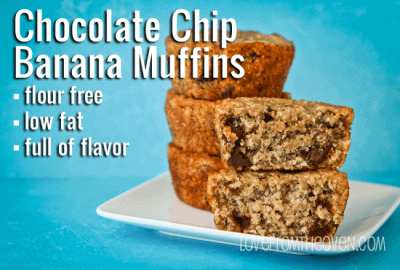 I used whole wheat flour and dark chocolate chips. Can I know what’s 1 tbsp vanilla? Is that vanilla extract? Yes, vanilla extract. Only on rare occasions do I use something like vanilla beans. My daughter is allergic to bananas. Do you have any suggestions on a substitute? Hi Jacquelyn, you could possibly try pumpkin. I have not tried it, so I can’t say for sure how it would work, but I use pumpkin in my chocolate bread all of the time. If you don’t add spices, the flavor doesn’t really come through. Using more Greek yogurt could be another option. Again, I haven’t tried them in this particular recipe though. Hope that helps! Thanks! I was thinking maybe cream cheese. I do have pumpkin on hand so I might just try that. I have everything except the Oat bran. Is it necessary & if so, are there any good substitutes? Joy, I would suggest running some oats through a food processor or blender and using those in place of the oat bran. I haven’t made it that way, but if I was out of oat brand and wanted to make them, that’s what I would do. You do need to replace them versus leaving them out to have the right liquid and solid balance. Hope that helps! Just made these to have for the school week. I used regular vanilla yogurt since it was what I had on hand and substituted applesauce in place of butter (equal amounts). They turned out amazing! Thanks so much!